Connecticut has wonderful activities to offer. From hiking and biking to visiting historical museums, there is plenty to satisfy everybody during the day. But don’t let the fun set with the sun! The Goodspeed Opera House is perfect for an evening out. Presenting some of the best shows and musicals in the area, this opera house is a fantastic venue to end your day at. Enjoy a delightful dinner and play in East Haddam before coming back to a lovely room at Stonecroft Country Inn. The Goodspeed Opera House has been an essential part of Connecticut history since the 1960s. It first began as a non-profit arts organization, created to provide the community with professional theater shows. The establishment steadily grew in popularity as it produced moving performances of rarely-seen musicals and plays. After presenting hundreds of masterpieces, the Goodspeed Opera House was the first regional theatre in America to receive two special Tony Awards. Dinner and show is the perfect way to spend your evening out in Connecticut! You can choose from a wide variety of shows, from classics like A Christmas Carol to newer works such as The Will Rogers Follies and Lionel Bart’s Oliver! 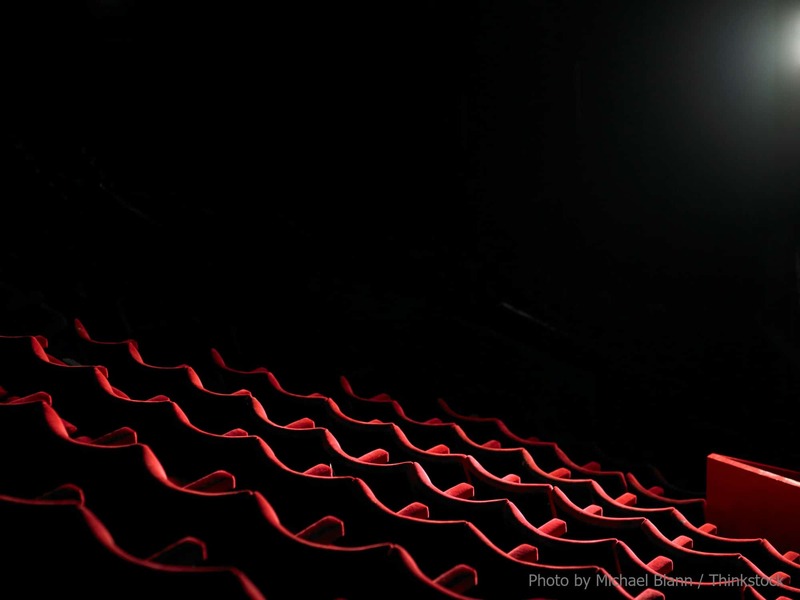 Plus, Goodspeed Opera House seating guarantees a great view and a comfortable environment to enjoy this spectacular entertainment. Before you head to your show, treat yourself to a meal at a nearby restaurant. There are plenty of excellent places close to the venue, including Brushmill by the Waterfall, a historic restaurant that serves classy cuisine. Enjoy your meal while admiring the surrounding waterfront. This unique venue offers more than just shows and plays. Visitors can take a tour of the entire opera house to learn more about its founding and architecture. You’ll even get a behind-the-scenes look at the magic that makes these shows possible! Or, attend an extravagant event like the Goodspeed Gala or the Festival of New Musicals. Tip: For even more shows and entertainment, make sure to visit Goodspeed’s sister theatre, the Norma Terris Theatre, in Chester, Connecticut. 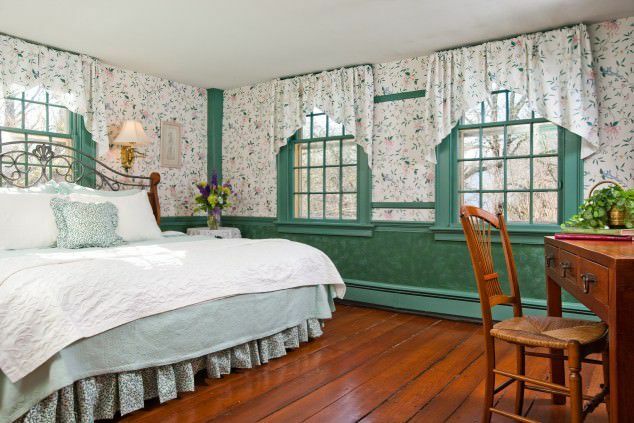 After spending a magical evening at the Goodspeed Opera House, come home to a cozy room at Stonecroft Country Inn. 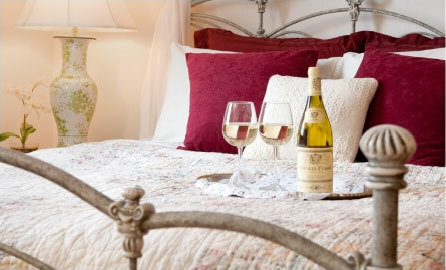 Our elegant accommodations are perfect for a romantic weekend getaway. 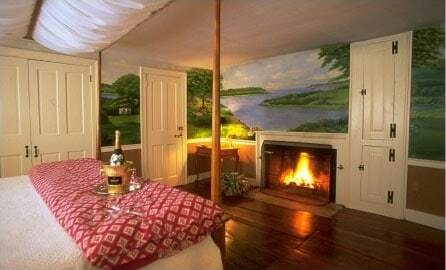 Surprise your significant other and relax in an authentic New England setting. Book our Orchard Room! Its delicate details and quaint decor will steal your heart away in a minute. Cuddle up with a glass of wine by the fireplace and gaze at the stars from the window. Then, take a hot shower in your private bathroom and enjoy a peaceful night’s sleep in the luxurious king feather bed. Wake up the next day feeling refreshed and join us downstairs where a delicious homemade breakfast awaits you! Book your stay today at Stonecroft Country Inn! We look forward to hosting you.